We have been working with the San Manuel Band of Mission Indians for quite some time in a number of ways. Through these discussions, they have recently invited Loma Linda University Health to help them educate their members on ways they can live healthier and happier lives. This is a first. To accomplish this, we are putting together a series of health education “fairs” this year for tribal members. The first one was held the afternoon of Thursday, March 10. One of the areas they are most excited about is better nutrition and food preparation, particularly as it relates to diabetes. 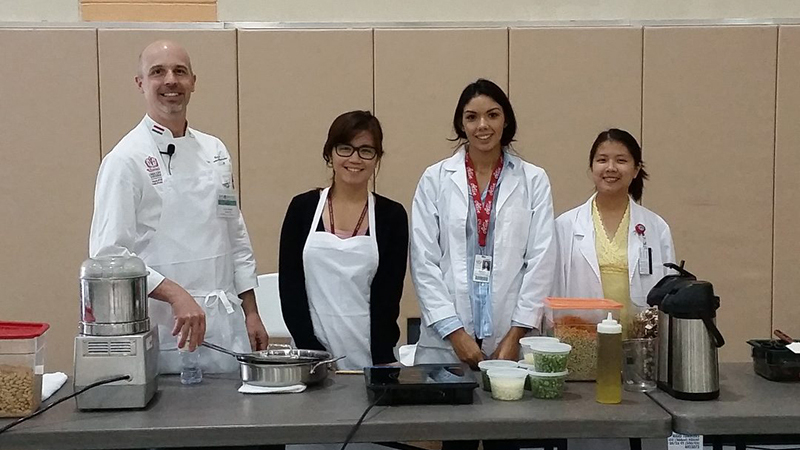 As part of this educational opportunity on the 10th, they specifically asked for us to provide interactive sessions with our Chef (Chef Cory) and nutrition education. In our planning, we also discovered the need for interactive children’s education, which we provided through the SPH educational theater team.